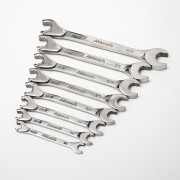 Innovative, beautifully made tools for the professional and serious amateur (or the xmas list!). These will be a pleasure to own and use. Don't cut holes in your bodywork with holesaws or step drills, use one of these. Why hack when you can punch? The neatest, most professional holes in flat sheet material you can make. To use: Drill a pilot hole for the central bolt. Assemble the punch on both sides of the sheet then tighten t..
Once you've used these you won't go back. At one end a 'normal' open ended spanner, at the other a ratchet spanner in an open ended head! 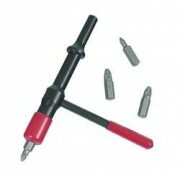 Makes the most tight access jobs easier and a boon for brake pipe nuts etc. Loosen with fixed head then ratchet away with the other. These aren..
BACK IN STOCK! 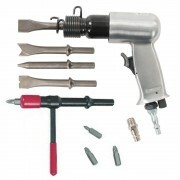 Shake-N-Break is a super quality American made air impact screw and fastener removal tool. 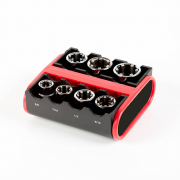 It uses standard, changeable, 5/16" hex insert bits that fit most fasteners and screws in circulation. 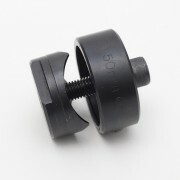 It slots into a standard air hammer with safety spring and use..
Just boootifull! It is like holding excalibur in your hand. 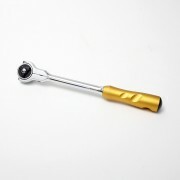 In fact its so nice you won't want to get it dirty, but when you do you'll appreciate the fine tooth ratchet drive, gold anodising and quality chroming. Comes in a nice presentation box. For the man who has everything or as a retire..
Damaged nut/bolt removal socket set (Imperial) - that works! There are several 'wonder sockets' on the market for removing seized nuts and bolts and after many failures we came across these American made items. 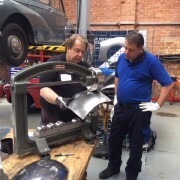 The design is quite simple, the forks inside the socket are driven inwards by cams as you apply force to the socket. That means the harder you..